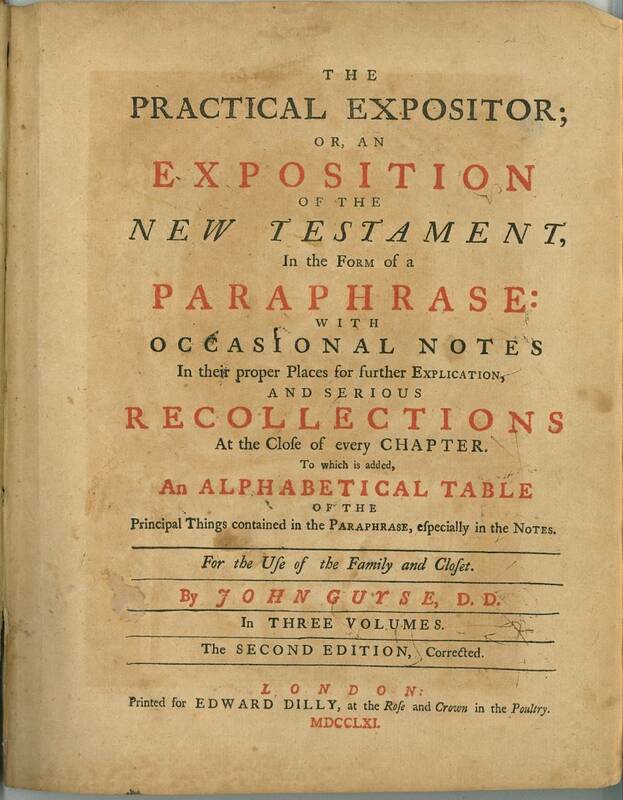 Title: The Practical Expositor; Or, an Exposition of the New Testament, In the Form of a Paraphrase: with Occasional Notes In their proper Places for further Explication, and Serious Recollections At the Close of every Chapter. 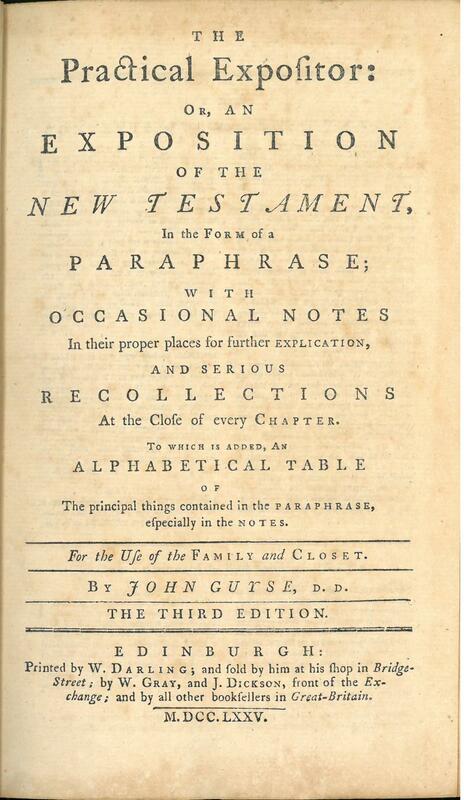 To which is added, An Alphabetical Table of the Principal Things contained in the Paraphrase, especially in the Notes. For the Use of the Family and Closet. By John Guyse, D.D. 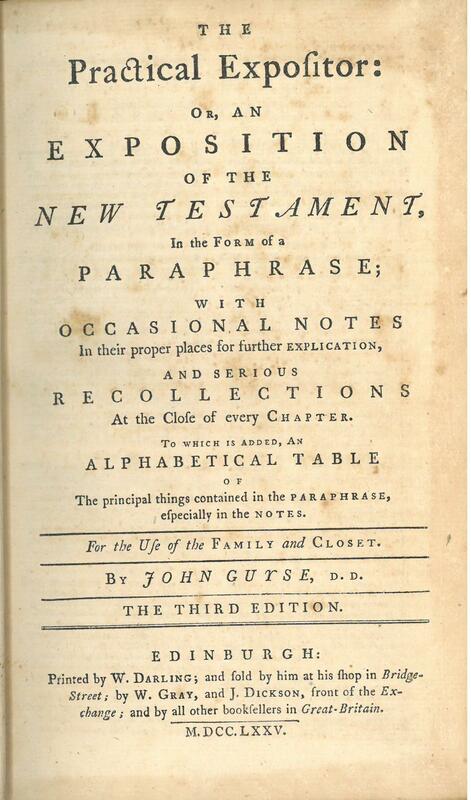 In Three Volumes. 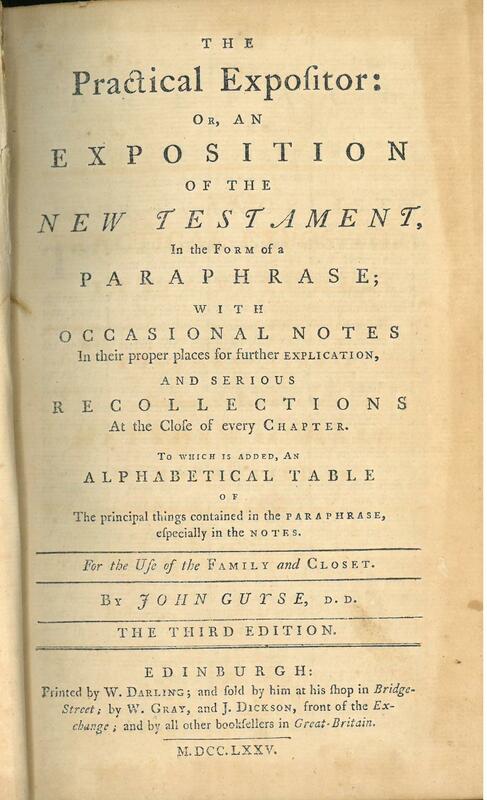 The Second Edition, Corrected. References: Chamberlin 538-1, Taliaferro CN00189, Taliaferro-EELBV 7150. 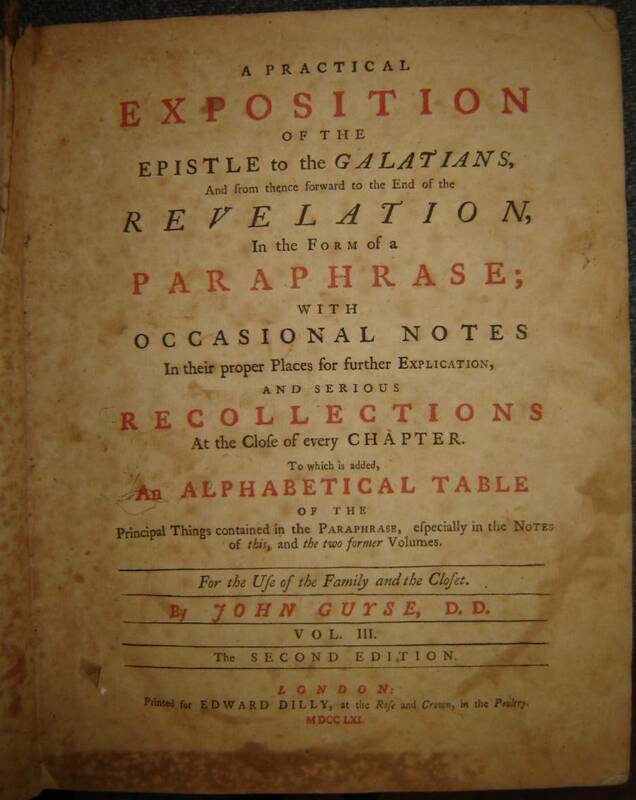 Title: The Practical Expositor: Or, an Exposition of the New Testament, In the Form of a Paraphrase; with Occasional Notes In their proper Places for further Explication, and Serious Recollections At the Close of every Chapter. 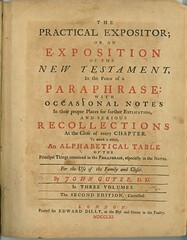 To which is added, An Alphabetical Table of the Principal Things contained in the Paraphrase, especially in the Notes. For the Use of the Family and Closet. 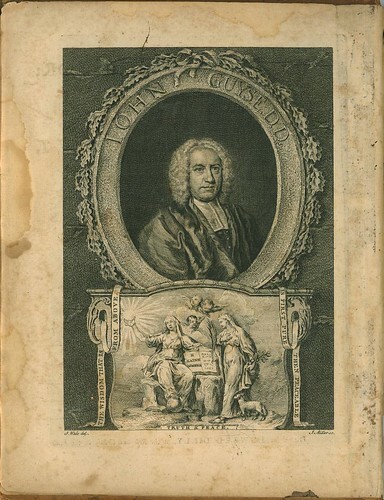 By John Guyse, D.D. 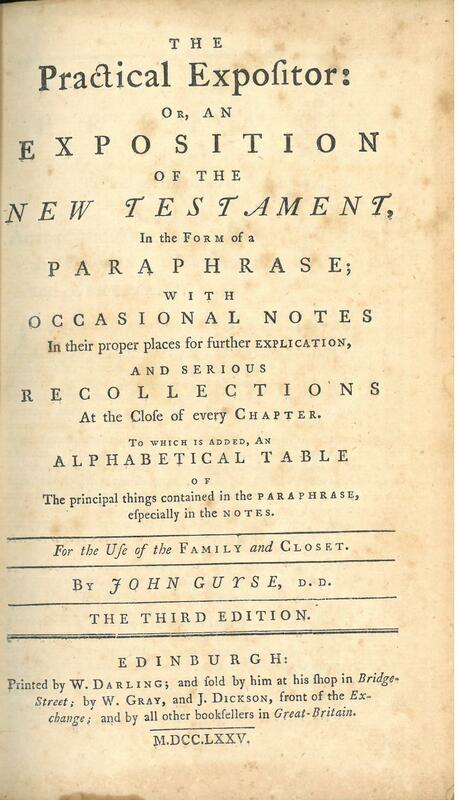 The Third Edition. 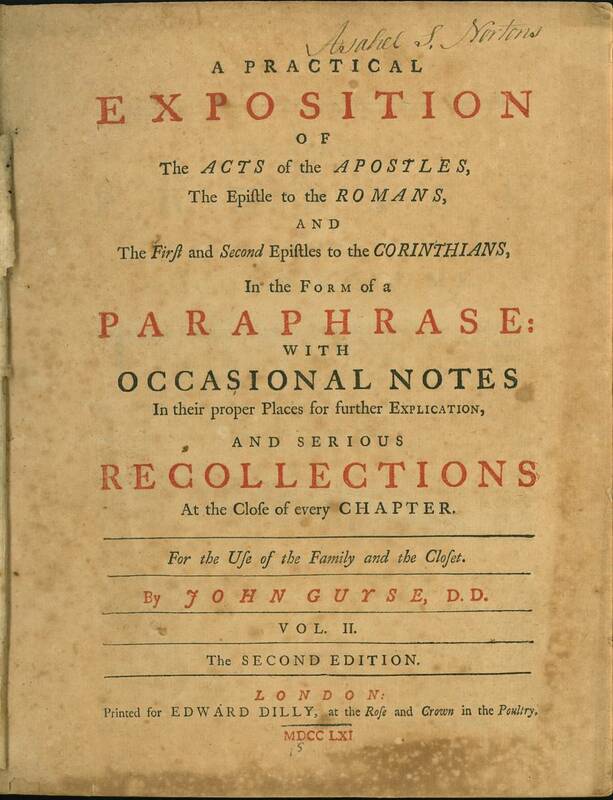 Contents: Volume 1: Matthew and Mark, Volume 2: Luke and John, Volume 3: Acts and Romans, Volumes 4 & 5: First Corinthians to Hebrews, Volume 6: James, First and Second Peter, First, Second, and Third John, Jude, Revelation.